Holy palazzo pants! These are a dream! And that belt?? Phenom! How ah-mazing is this print? And again, palazzo pants and belt = insane. Can I please wear this to a fun summer party? So chic and that print is fantabulous! Excuse me while I wipe the drool from my mouth... how rad are these Balenciaga gladiator heels? The trifecta of blue hues make these puppies a perfect companion to any color blocking ensemble. Her hat is ah-mazing and I want it. 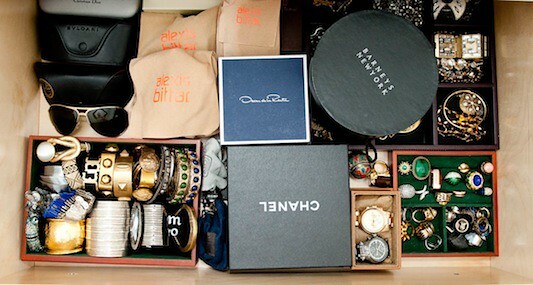 If only my jewelry could be as organized as this, I would be in heaven. I just want to wear these with cropped trousers/denim, or a chic pair of shorts paired w/ a blazer. This suit that Kate Moss is modeling so beautifully is all kinds of ah-some. 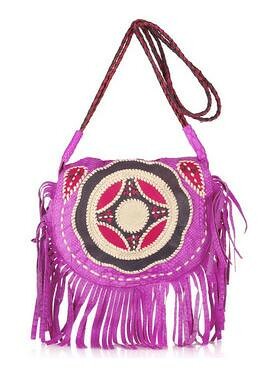 If I could own this Antik Batik Costa Besace appliquéd python shoulder bag, it would not leave my side the entire summer! Loves it! I spy three lust-worthy things in this photo: 1.) her celine clutch, 2.) her jewel-encrusted fly cuff, 3.) 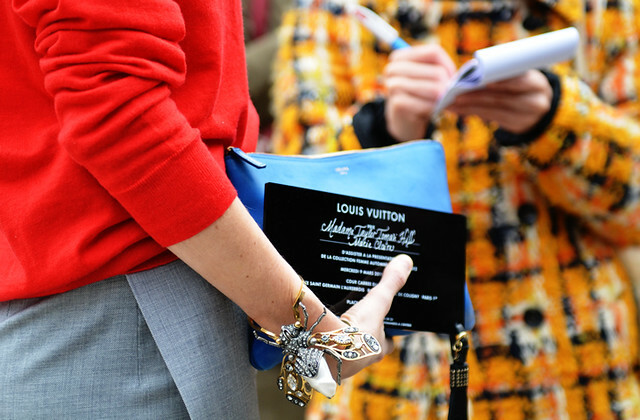 her invite to the louis vuitton show. Love all the colors! I would wear that first outfit any day! Holy summer spectacle!!! Those Carlos Miele pieces are soooooooooo gorgeous!!! I have yet to find total statement pieces to inspire this season's looks...this is just the think I need to kickstart my summer into high gear...love it, thx for sharing!! Oh my god Kate in that swimsuit is so amazing.